← BREXIT – 432 Vote Against May – Now What? Now the masthead date is the 16th but the byline date is the 10th, so I’m not sure just how “current” this is. Still, we’ve got folks dying and the snow looks to be clear down in Turkey, and measured in meters, so it’s a big deal. Europe’s snow chaos has deepened again with hundreds of people trapped after roads were buried by avalanches. The highest red warnings are in place in Germany and Austria with up to six more feet of snow expected before the weekend. The confounded article dating has me wondering if this is a warning, or if now it is a historical fact. Heavy snowfalls across Europe — even in Greece — have thrown travel plans into chaos, trapping hundreds in alpine regions and airports, and leaving snow on Italian beaches. A period of snow will blanket parts of Poland and Ukraine with fresh snowfall into Wednesday. So starting Monday 14th and continuing through Wednesday (tomorrow or today depending on where you are). Trains were at a standstill on Friday in Germany and Sweden and schools were shut. Here’s another view of it. Looks like Spain and France are warmer and with less snow than usual (like the USA “Midwest” that is really just inland from “Back East” ;-) like around Chicago) while the more Eastern parts of Europe are snowed over (rather like the West and Rockies of North America have it cold and snowy this year. “Loopy jet stream” and all. In general, the news makes it sound like Central & Eastern Europe are quite the snow mess. Hope folks over there get a break soon. With plenty of winter still ahead of us, lots of snow problems followed by melt floods could be in the works. A “watch this space” situation as of now. What’s very clear is that this much snow is NOT “Global Warming”, but being inside historical norms, nor is it “Climate Change”. Just your garden variety cold snowy winter in Europe. This entry was posted in AGW and Weather News Events and tagged Austria, Europe, Germany, Greece, Snow, Sweden. Bookmark the permalink. and b. ) https://www.google.de/search?client=opera&q=Prof.+Harald+Lesch&sourceid=opera&ie=UTF-8&oe=UTF-8 —- Fancy that now ! 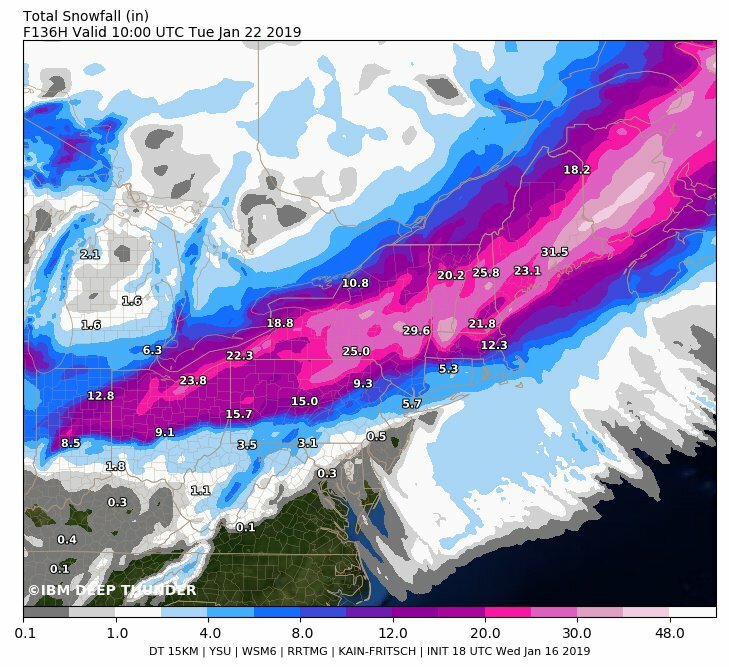 Anyroad, and as there is NO MENTION in the results of that recent interview, HE spoke about ( as I understood it) that this snow was called by Glob Warming causing all this SNOWFALL ! Why> BECAUSE it created sooo much moisture in t he atmosphere but because it was soooo cold, it fell as snow instead of rain! as he said IMAGINE if it hadn’t been so cold – we would have had flooding. ( Scare ). ….. When I hear mention of GW or CC in their programs , I find the Red Mist coming down in the Highlands :-) slàinte mhath ! Adelaide (South Australia) will be only 37℃ tomorrow (Thursday) after 3 days of 40/41℃. Further away from the seaside it got to 49℃. Some people are blaming Global Warming but I can remember a day in 1962 when it got to 42℃ or possibly 44℃. This report from a week earlier explains what was/is going on with the jetstream. The same cold weather system has been stuck in one place for about two weeks, but should start to move in the next few days. Yeah, that one always got me. 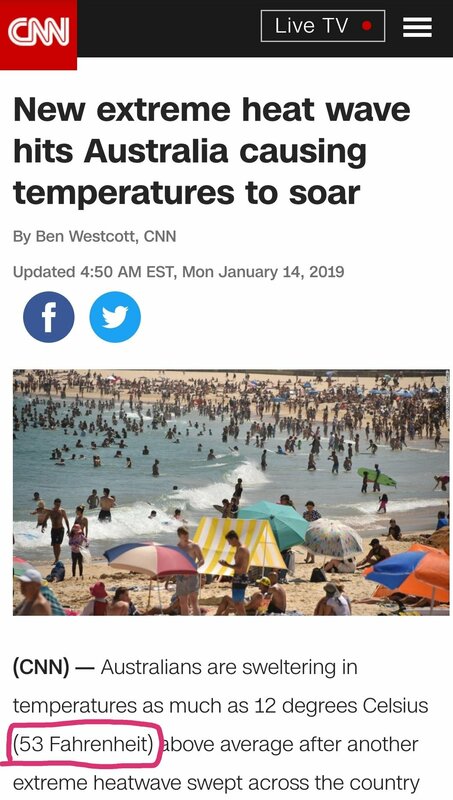 It is sooooo hot that the oceans are steaming, and that means it’s cold enough to make it into snow… Just a basic failure to grasp reality. As far as snow here in Germany goes, there’s a meteorologist (lukewarmer) who says “it’s just weather, it’s just Winter, it’s happened before, and it’ll happen again”. As the YSM are looking for every disaster they can spew. The snow IS really wet though, hence the avalanches, and folks are being warned (as they’ve been warned before) to stay within the bounds, etc., etc. Joe Bastardi at WeatherBell on his summaries is /and has been) predicting a VERY COLD next couple of months here, again like similar years in the past. Apparently, up here in Washington State the weather is going to change – about every 15 minutes. NOTE: Just above the map there is a ZULU time and date sequence. Move your pointer from the left-most one to the right. Colors are shown on the lower left. A rare Bizzard warning in Cali? Seems we may see more of this type pattern over the next several weeks. Yuk! Contrary to CNN it is only parts of Australia, mostly the sparely settled areas e.g. Maree had 47℃, Woomera 49. Adelaide has had 3 days of 40℃ and today (Thursday) is expecting 37℃ before a cool change arrives and drops the top temperature to 29-32℃. An average summer so far, after people complaining about a cooler Spring. My agapanthus plants, which are more reliable than our local Met. Bureau** were later flowering this year than in the previous 17 (although last year ran them close). ** They must be the only Met. Bureau who think that the atmosphere warms as you go higher. There are forecasts showing up now for very cold weather the weekend of Jan 20 in the eastern part of the US. Deep Thunder plot forecast for south east US calling for very significant snow fall in some areas. Not to add to your confusion but this is an interesting computer model you don’t often see. It’s from IBM using the Watson computer system. It’s called Deep Thunder. It uses data from one model and feeds into another and verified with historical data. Just had (having?) some wild winds. Sister-in-law reports tree down in the yard. Very gusty. If you don’t hear from me for a long while it will be wires down…. I have relatives in northcentral Pennsylvania. There is a small airport that gets a weather forecast now showing -5°F for Sunday night. Lat: 41.8°N Lon: 78.64°W Elev: 2106 ft. Within the family we have some fun with those that live in that area, saying it is the coldest place in the World where any family members choose to live. The difference between people in the State Pen, and the Bradford folks is that the felons know they are being punished. In Cali, Medellin and Bogota nobody is worrying about the weather is. It will always be way better than anything you have in Europe, the USA or Australia. This story shows how compassionate people such as my sister-in-law who lives in Bogota initially welcomed Venezuelan refugees. My sister-in-law has changed her tune. She wants to close the Colombia-Venezuela border. She wants to repatriate the immigrants who have overwhelmed the social services in Bogota and many other jurisdictions in Colombia. There is a lesson to be learned here. Compassion is wonderful thing unless it turns your neighborhood into a slum.